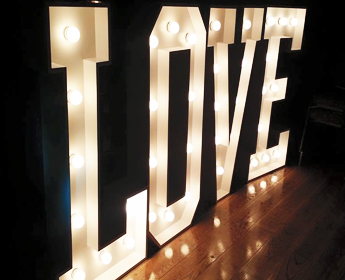 We are a husband and wife duo serving the event industry with printed décor and fabulous vintage style marquee ‘light up’ letters. Having been in the print and sign industry for over twenty five years; we’re truly experts when it comes to print and design. Not only is all of our printing done ‘in house’, we also do our own installations ensuring you a top quality product. And with that, we truly take pride in our product(s) and we know that we will exceed your vision and expectations, which will not only impress you, but fascinate your guests as well. 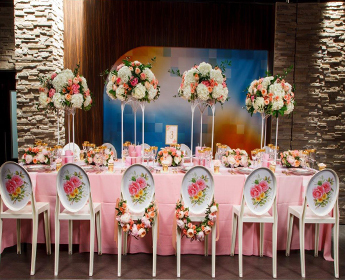 Let us help you to take your event’s décor to the ‘next level’ and assist you to create the ‘wow factor’ that you’ve been looking for and leave your guests with a truly memorable experience. Our clients will tell you that our knowledge, and attention to detail are guaranteed to leave you with an extraordinary experience, proving that we truly are leaders in the décor industry. I wanted to thank you for your beautiful monogram! 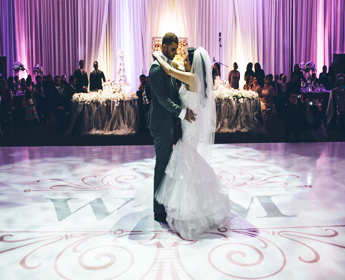 We received so many comments on it and it make the dancefloor look absolutely breathtaking. Hi Corrie I hope all is well with you and your family! I wanted to thank you again for the wonderful job you did on the floor decal - it looked amazing and was a HUGE hit!!! I think it really just tied everything together and made the monogram look awesome!!! I have been telling a bunch of people about you and will continue to do so!! 🙂 All the best! Hi Corrie!! I just wanted to take a second and let you know how appreciative I am for you Norm squeezing in my order. It looked beautiful and really set the tone for the room! Hi Corrie, Just wanted to extend my thanks for the amazing work Event Graffiti did on my dance floor yesterday! It was stunning and perfect and an amazing touch to a perfect party. Thanks again! 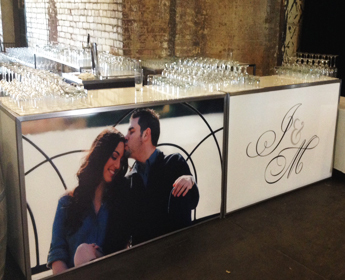 Event Graffiti is probably one of the best vendors you will ever deal with. They are completely responsive and will give you any advice and attention you require. My marquee lights were a huge hit on my day! They completely transformed my event space. People couldn't stop talking about them. It really gave the whole wedding an old Hollywood feel. I did not want to cover the whole floor so Corrie recommended I do a graphic. It added a spark to the whole decor, and the design was so beautiful and classic. I didn't know what exactly I wanted so Corrie designed me several looks for me to choose from. I let her pick it in the end and when I walked into my space I was absolutely floored! 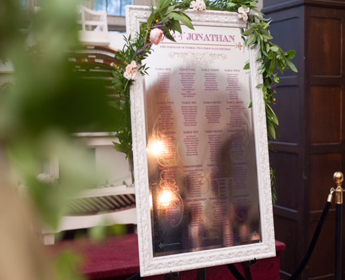 Event Graffiti really gave my wedding the spark that I dreamed about. I can't wait to use them again for my next party! Follow us on Instagram to see our latest creations.